I recently brought a whole 2KG bag of carrots. They seemed fine the day I brought, but eventually, the skin of the carrot evolved to a black layer. However, when I peeled them off, the carrot looks perfectly fine. 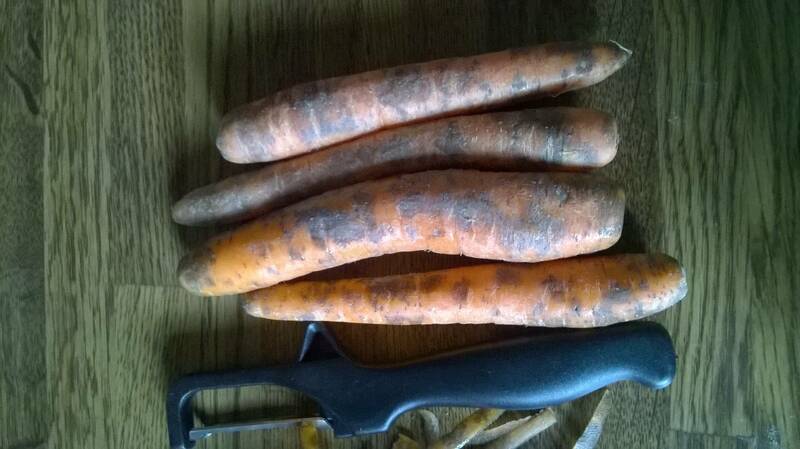 Is it good to continue using these carrots ? Are there any precautions that I have to take to store them ? Please find the reference images. I have worked in the CPG industry for almost 30 years. A few years back I had the privilege of representing one of the largest produce brands in the US. I learned quite a bit about produce storage and what speeds up the deterioration rate. One thing I noticed in your picture is that there appeared to be moisture (condensation) inside of the bag of carrots. It is certainly okay to leave them in the bag they were purchased in, but you want to be absolutely sure that there is no moisture in the bag. Moisture can be a real devil when it comes to mold and mildew or other fungus. Another very important thing that affects the length of time produce will remain good is air circulation. You have to have really good air circulation around produce. Bagged salads, slaws, etc. will go bad quicker (even if they are unopened) if they are stored so that they don't have proper air circulation around them. In the case of the carrots, I would recommend opening one end of the bag so that they can get air. Overall, I would rceommend that produce be stored in the produce crisper in your refrigerator. Crispers are designed to maintain an appropriate temperature and level of humidity that will help produce stay fresh longer. If your refrigerator does not have a crisper, I would get a plastic rectangular container and place it on the bottom shelf of your refrigerator to use as a make shift crisper. If possible, cut one inch holes generously in the lid to allow for air flow. If you don't have a way to do this, leave the lid off. Regarding using the carrots, I would be reluctant without knowing with certainty what the black is and probably would not use them. I think you just bought the wrong carrots. 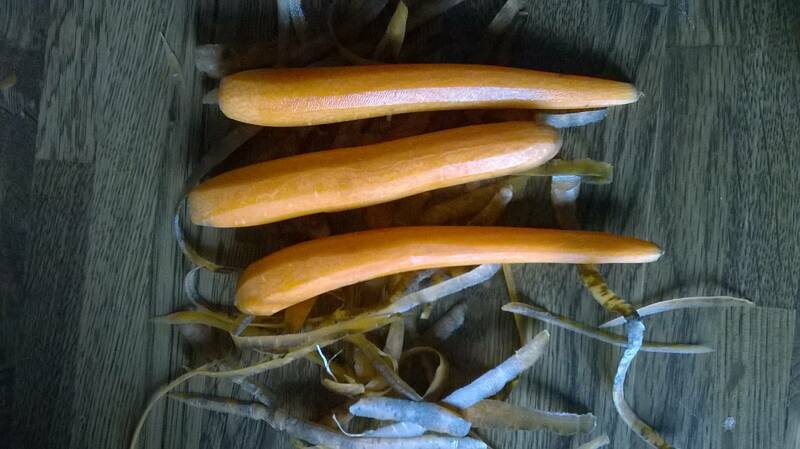 Carrots can keep for ages if they are mostly left in their natural state. 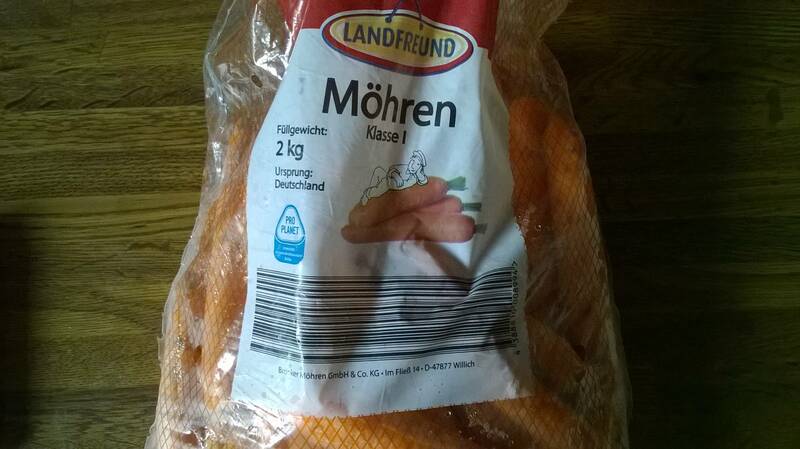 But the cheap carrots in large German supermarkets tend to be quite processed before being sold. The ends are cut off, and the dirt is removed by some process (I don't know if it's chemical, physical, or both) which destroys their outer skin. This makes them as perishable as any other peeled fruit or vegetable, so just 1-2 days in the fridge. The condensation in the bag makes it even worse. If you buy carrot bundles from the market, with a little bit of leaves on them and still a bit of dirt, they will keep. The whole leaves look better, but will dessicate them quicker! Or you can buy the whole leaves kind and keep it in wet sand. The problem with mold is that it's there even when you can't see it. So it's acceptable to cut off a moldy part of a hard shelled fruit or vegetable but not so for bread or other porous items. Carrots are pretty inexpensive so I recommend throwing them away. Especially if you're planning on eating them raw, as in salad. In the future, keep carrots in a well ventilated chilled environment, or peel the whole lot and keep submerged in cold water, in a refrigerator. => Best place in refrigerator as low as possible! Dont know if because of humidity, refrigerator design, airflow or temperature. What i dont know is what is the difference between condensation moisture and moisture that keeps the carrot fresh and prevents that i looses water. To me they should be the same - anybody knows? I stick to point 2. When they get the blackening just peel them, dip them in 1 litre chilled water with a half (or whole) teaspoon of vinegar, then place in a freezer bag (these actually do breethe) in your crisper in the fridge. My gut is telling me not to peel them and stick in the ground, and they will not only last forever, but grow small carrots. Not the answer you're looking for? Browse other questions tagged storage-method storage-lifetime food-preservation refrigerator carrots or ask your own question. Good ways to store brownies?